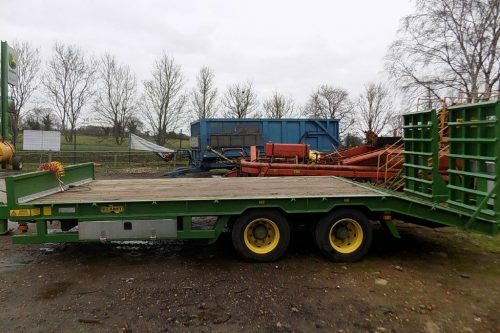 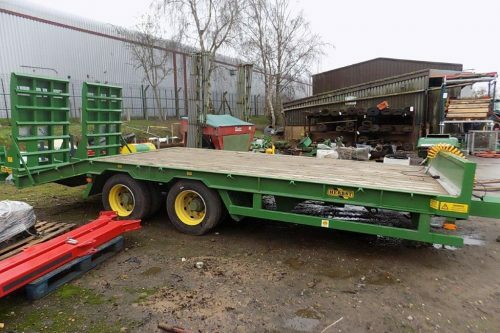 C/W SPRUNG DRAWBAR WITH TOW EYE CLOSED BEAVERTAIL, 80K AXLES 300×135 BRAKES, AIR/HYD BRAKES C/W CHANGEOVER VALVE, LOAD SENSING VALVE, SIDE TOOL BOX 7 LEAF SPRINGS, TIMBER FLOOR LED BEACON, HEAVY DUTY ONE METRE WIDE SPRUNG RAMPS (LADDER TYPE), 215/75 17.5 TYRES. 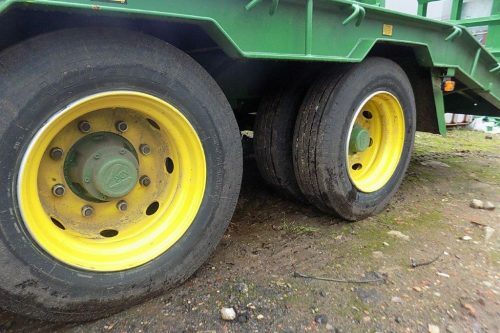 PAINTED JD GREEN/YELLOW WHEELS. 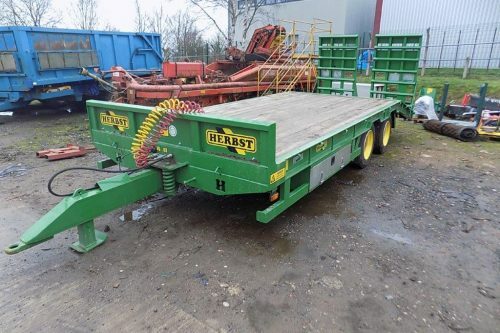 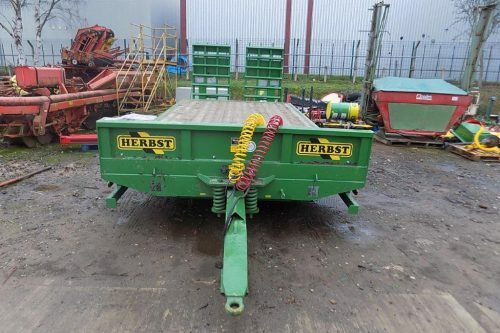 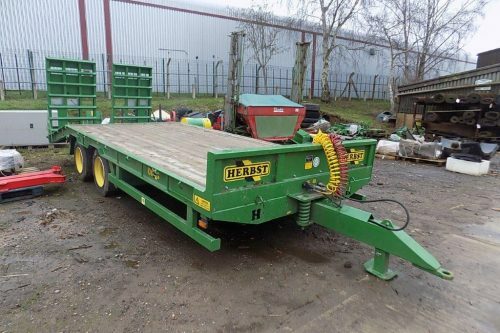 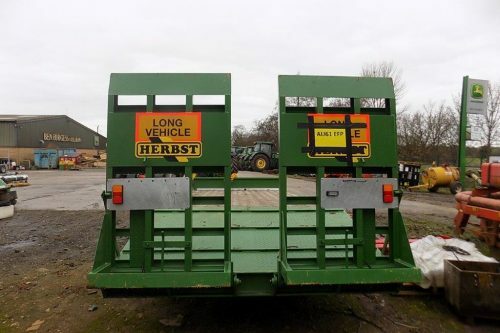 To enquire about the hire of Herbst - 20FT 19TON LOWLOADER please fill in the form below.